Fleet of Tractors and Refrigerated Trailers for full-load and LTL trucking needs. 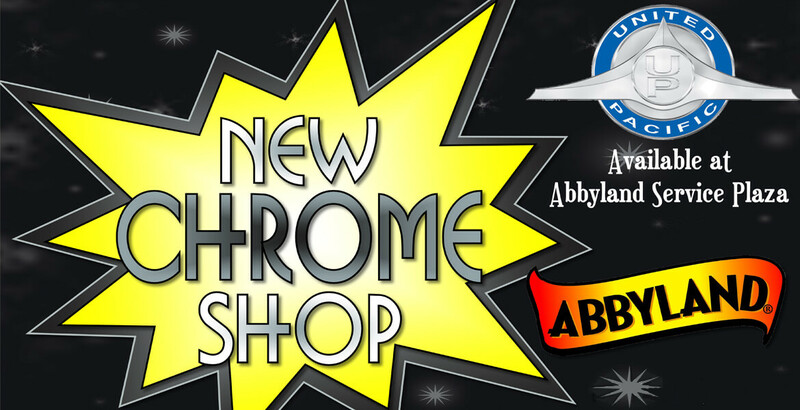 Call and ask for details at 715-223-3402. Join the Team! Are you a safe and professional driver looking for a change? 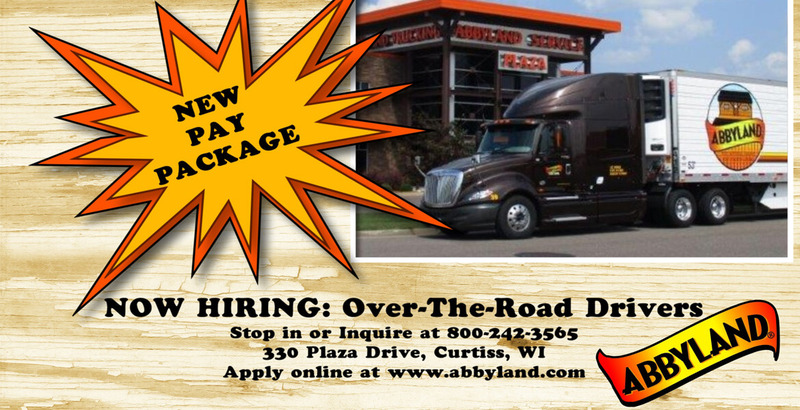 Abbyland Trucking is currently hiring professional Class A OTR truck drivers. NEW PAY RATE!! Competitive wage paid by practical miles. Home Weekly; Our dispatch team works to maximize your time on the road with as little wait time as possible. Mentor/Trainee program partnered with Accredited Driving Programs. MUST NOT have a DWI conviction in the last 10 years or any now pending. MUST NOT have had a major chargeable accident in the past 3 years while driving as a professional driver. All accidents must be explained in detail. MUST NOT have had more than 3 moving violations in the past 2 years, and any suspensions shown on MVR must be explained in detail. Health/Dental/Vision Insurance 1st of the month following 60 days of continuous employment Competitive Benefit Packages for Single or Family coverage. Life Insurance 1st of the month following 60 days of continuous employment Abbyland provides and pays 100% of the premium for a $15,000 term life insurance policy on each employee. Long Term Disability After one year of continuous employment Premiums are paid 100% by Abbyland. Benefits are 60% of your gross weekly wage and are payable on the 91st day after injury to age 65. Short Term Disability After one year of continuous employment Premiums are paid by the employee at group rates. Benefits are 60% of your gross weekly wage. You can defer up to 15% of your earnings with Abbyland matching up to 50% of the first 4% (maximum 2%). After 7 years - 2 weeks (80 hours), plus 1 day for every year after 7 years. Maximum of 120 hours vacation. 1 Personal Day (8 hours) granted each year after one year of employment.